The definitive guide to killing your cold! The time: New York City, circa 2004. The place: a ganky, crowded and cough-infested subway car during rush hour. If you’ve ever lived in a crowded urban (and freakin’ awesome!) city like Manhattan, you’ve probably been face to face with just about every common cold/flu virus. Clinging to sweaty subway poles and going shoulder to shoulder with someone who is hacking up a lung is par for the course in NYC. So when I lived in New York, why didn’t I get sick every day of cold and flu season? In fact, why did I rarely ever get sick? Warning: please suspend disbelief for the next 10 seconds. If you are catching a cold ‘like everyone else’ then you, my friend, are the low-hanging fruit of health. Not everyone gets sick and it’s not luck. Let me explain: your immune system or internal health army is built to crush the common bacteria and viral opponents with which we come into contact every day. Surprising absolutely no one, our modern lifestyle of fatigue, crappy nutrition, obesity, and over-consumption of medication weakens your internal army and makes them fat, lazy, and ill-prepared for battle. 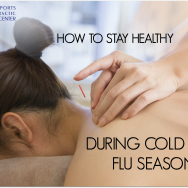 Enter a cold/flu virus to over-take your body! Don’t get sick in the first place – Prevention. Acupuncture and chiropractic spinal alignment remove hard-to-detect stress and to tune your system. Anti-inflammatory foods: fruits, veggies and lean grass-fed protein. Wash your hands…frequently! And avoid touching your lips, nose, and eyes. Chicken vegetable soup – ease symptoms of sinus stuffiness by inhibiting movement of white blood cells. Sip a hot drink- taste promotes salivation and secretions that lubricate and soothe your throat. Add honey to your hot drink – to reduce coughing. A 2014 review by the Cochrane Collaboration compared honey to OTC medications, placebo and no treatment. Consuming honey was slightly more effective than the meds and showed significant improvement over placebo and doing nada nada. Saltwater nasal rinse – ease runny nose, stuffiness, and reduce decongestant Avoid OTC ‘hypertonic’ rinses which can dry you out too much and IF you go the neti pot route be sure to use sterile water and clean between uses. Let us help you! Did you know that Chinese Medicine has been used for centuries to relieve symptoms of colds and flus? That the scratchy throat, congestion, aches, cough and general fatigue can all be released from your body much faster when you get the proper treatment? 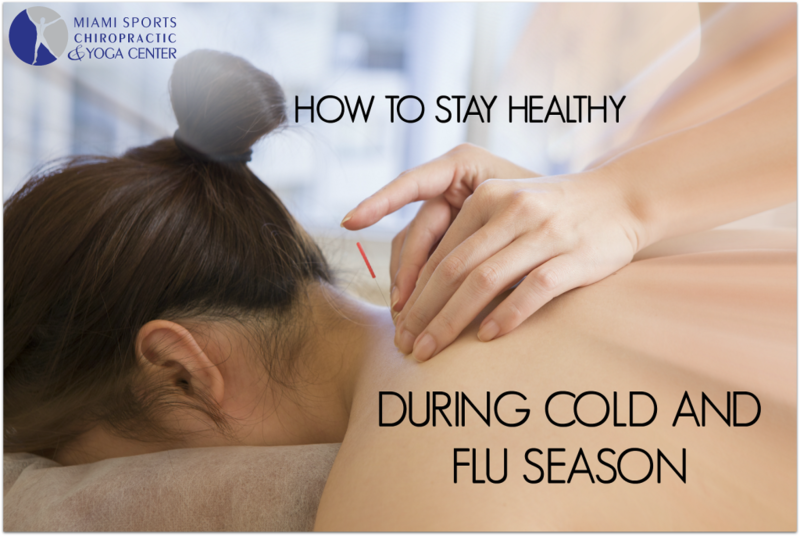 Our Aventura acupuncturist uses various tools to help the body fight against colds and flus by boosting the immune system.